With 401(k) plans becoming less and less useful, many investors are looking for other options to grow their money such as by using Betterment. One of the main drawbacks of the modern 401(k) is it’s restrictions on the types of investments you can make which are limited by the provider your employer chooses. Many people want the freedom to invest in individual stocks of their choice without the restrictions and fees that are imposed on them in their 401(k) plans. 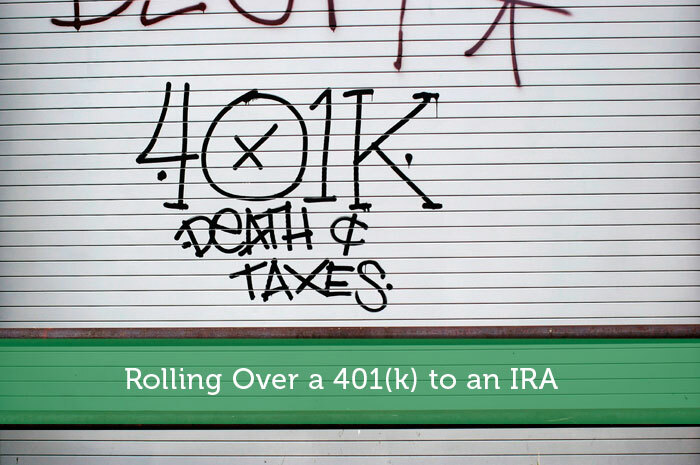 If this scenario describes you, then why not rollover your 401(k) to an IRA? Am I Eligible to Rollover My 401(k)? You are eligible for a rollover when you leave your job, voluntarily or involuntarily. Some plans also offer an “In Service 401(k) Distribution,” that allows you to rollover your 401(k) while you are still working. Open an IRA with any financial institution of your choice that offers one. Inform your employer that you want to rollover to an IRA. Make sure your employer makes the check payable to the new investment house that you choose. This is called a trustee-to-trustee transfer, and it helps you avoid the automatic 20% tax withholding. Execute a Trustee-to-Trustee direct transfer. This type of transfer is an instruction to your plan administrator to send money directly to your new 401(k) plan, or to your IRA custodian. Once the transfer is complete, your money will be sitting in a money market account ready to invest. If you used the direct transfer route, the existing shares of stock that you owned in your previous plan at the time of the rollover will also transfer seamlessly. IMPORTANT: Do not have a check mailed to you with your name on it. This will cause you to incur an early withdrawal penalty of 10%, if you’re not 55 years of age or older, and you will also be subject to the money being taxed as ordinary income at the regular tax rate for your income level. It’s free to roll over 401k assets or an IRA. Rolling over to a Betterment IRA involves almost no paperwork and allows you to be invested in as little as two days. Betterment provides a rollover concierge to each customer rolling over retirement assets. 401(k) plans are becoming tools that are proving themselves not to work for many savers and retirees. Converting your 401(k) to an IRA gives you more flexibility in the types of investments you can make while still allowing you all the tax advantages of your 401(k) plan. Take a look for yourself and you will see that the investment world opens up to you as you move out of a restrictive retirement plan and into a better one. I am getting ready to switch careers so this topic will be very important for me soon. I have been so lazy with my 401K and have been relying on the experts to make my money grow. All these points in this post I have not even thought about. I guess its time to get educated in lieu of my future 401K rollover attempts. Thanks for the great advice. Yes, I always rollover my 401k in my Rollover IRA when I leave a company. It makes it easier to keep track of my investments when I have them all in place, plus I have a much wider choice of investments with my broker than I did in the 401k. As you say, the key point is to make sure you’re doing a rollover and not a withdrawal. If they say they’re going to send you a check, it’s not a rollover. I have rolled over my 401(k) just recently. I realized that I can maximize my money in other form of investments. I feel like people should do the same if they want to retire with more money and freedom. I recall taking a personal finance class where the professor told us about wanting to join in a 401(k). Times have changed and I would love the option to go ahead and diversify my portfolio and not be restricted to where I have all my eggs in one basket. I will have to double-check with my employer to determine that I am able to execute a transfer of my funds. Hopefully everything goes smoothly. Thanks for sharing these steps, it’s just what I needed! The process is not as difficult as I thought. I had heard of Betterment before, but only vaguely. Now that I know what they actually are, I’ll seriously consider them.